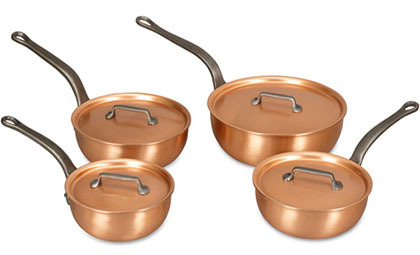 An unrivaled performer, this saucier set offers four popular sizes, each ideal for recipes that require frequent stirring due to their curved sides. From delicate reductions to smooth rues, to sauces with body, these sauciers will meet every challenge. You'll discover a new dimension in convenience while enjoying superb results with every use. Falk Culinair steps up to meet the demands of a techno savvy world while maintaining timeless craftsmanship. Enjoy the stunning benefits and value for money with our multi piece discount. Falk Culinair, you know you want it!